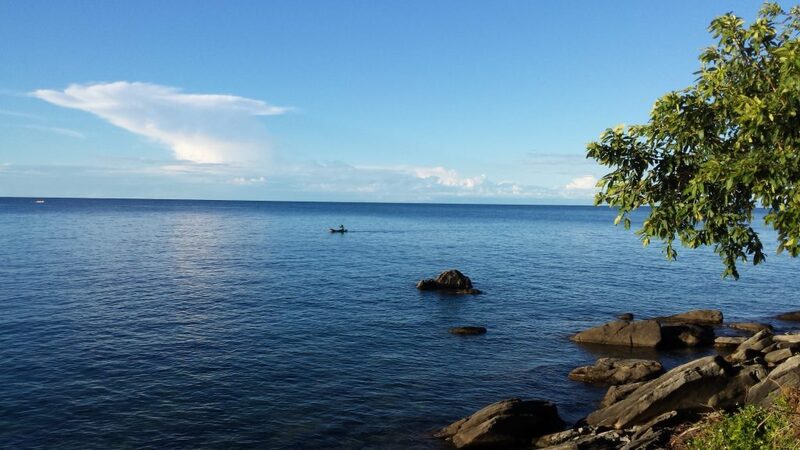 Covering almost a fifth of the country, Lake Malawi is the third largest lake in Africa (and the ninth largest in the world). It is 560 km long from its northern to its southern tip and while the vast majority is in Malawi, it does extend into Tanzania and Mozambique. 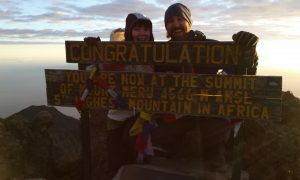 After enjoying a relaxing few days at Mushroom Farm following our tough trek across the Nyika Plateau, we lucked out on a ride with Andy and Joe all the way to Nkhata Bay. The guys and I enjoyed the local Chambo fish for lunch and from town it’s a short walk to the lovely Mayoka Village hostel. Like much of Malawi, the hostel felt like the destination and it’s an amazing design, a brilliant mis-match of huts built into the hillside over many years, a wonderfully sociable set-up and an unbeatable location right on the lake. Even the shower had a spectacular view! We were completely blown away by how clear and beautiful the lake is and you can swim off the rocks from the hostel. It’s also free to use their kayaks and paddle boards. 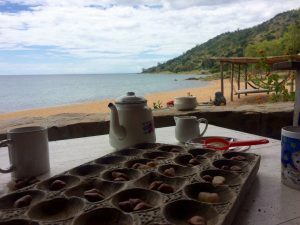 Lake Malawi is home to over 1,000 closely related, but different species of cichlid fish and it was a different experience diving in fresh water for the first time. Although there’s obviously not as much variety as diving in the ocean, there were lots of colourful fish and some very cool rocks. 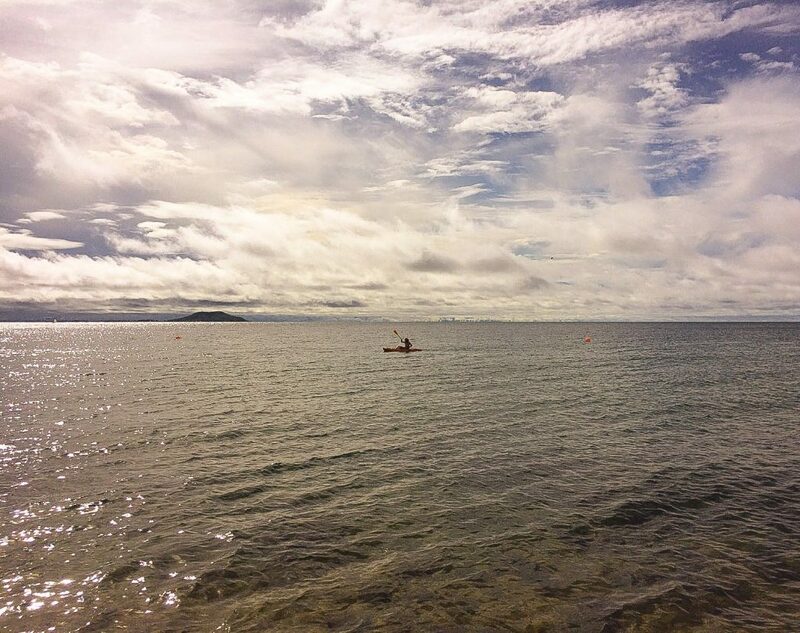 From Nkhata Bay we headed east across the lake to Likoma Island, which is part of Malawi but in Mozambican waters. The ferry was pretty crowded, but much quicker than expected because we were on the smaller MV Chilembwe (the regular MV Ilala was undergoing maintenance). Stepping onto the beach, we could immediately smell the racks of drying fish and it was a bumpy ride across the island in the back of a small pick-up van, one of only 16 cars on the island, to the Mango Drift Hostel. The hostel felt like a little piece of paradise with its amazing location and atmosphere. It sits on the lakeshore so we had our own private beach. There are lots of places to relax – swinging chairs, hammocks and old rowing boats converted into sofas, and dinner each night is served on the beach under the stars. 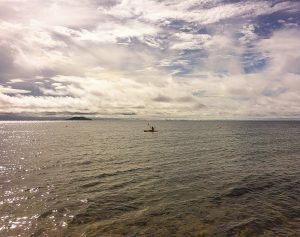 The water is crystal-clear so the snorkeling is amazing and it’s free to use the hostel’s kayaks. We ventured into town only once to see the island’s many beautiful baobab trees and the huge church built over 100 years ago by Scottish missionaries and a week of doing nothing went very quickly. We were back on the ferry south to Monkey Bay but we didn’t fancy a night on the over-crowded boat so we decided to jump off at Nkhotakota. It was now around 9pm and very dark. There is no dock so we took a rowing boat close to shore and then waded through water and up to the hotel where we were advised not to camp because of the crocodiles! Perhaps next time on the Ilala with its spacious deck, bar and restaurant we’ll rather stay the night. 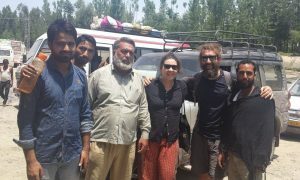 After breakfast on the rooftop terrace, the lovely owner Zig kindly dropped us at the spot where the minibuses depart from. He mentioned he’d been renovating the hotel for 10 years although we’re not quite sure how busy he’s been! 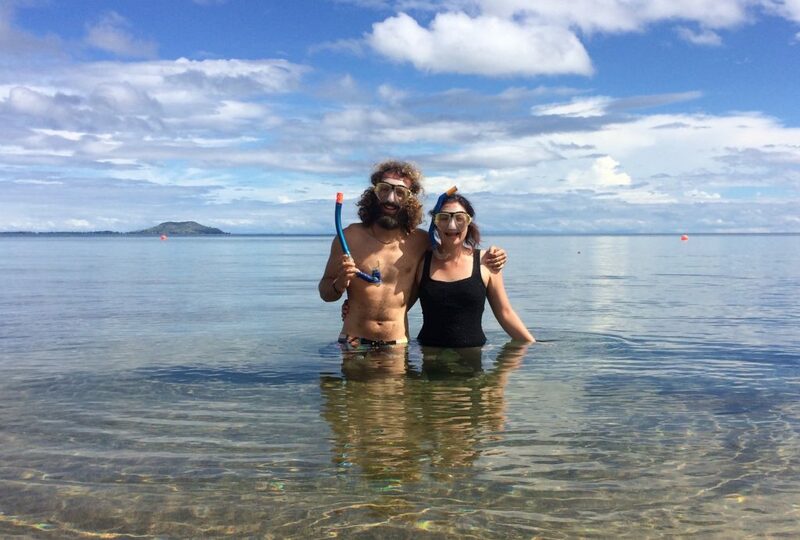 Our final stops on the lake were Monkey Bay and Cape Maclear. Cape Maclear felt more touristy than the village of Monkey Bay and consequently was a lot more expensive. (If they’re available, the A-frame beach huts at Mgoza Lodge are wonderful value and they also serve tasty meals). I finally found a kayak I could stay in! The water in Cape Maclear was not as clear as Nkhata Bay or Likoma Island with people washing themselves, their dishes and their clothes! 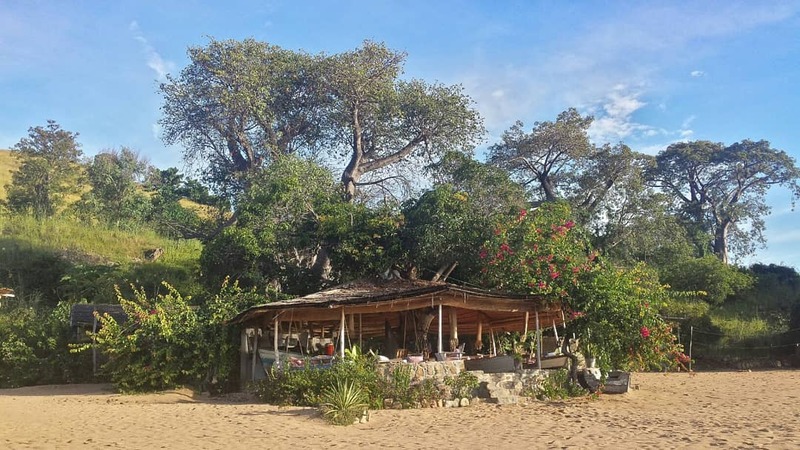 It is, however, home to the Lake Malawi National Park and Otter Point at its far end offers absolutely stunning snorkeling with thousands of fish to be seen just off the rocks. We really hadn’t appreciated how beautiful the lake is and it’s an unbelievable place to hang out. The hostels invite you to stay for longer than you had planned; especially when the water is so gorgeous, and wonderful to swim / snorkel / dive / kayak in. Everywhere was $5/person to camp with our A – frame hut at Mgoza Village costing $6/person. It’s lovely camping on the beach but there were loads of ants (and they bite). You can walk from Mayoka Village to the dock. Aside from the ferry and a series of mini-buses from Nkhotakota to Monkey Bay, we caught a motorbike taxi from Monkey Bay to Cape Maclear which cost MkW 1,500 ($2). 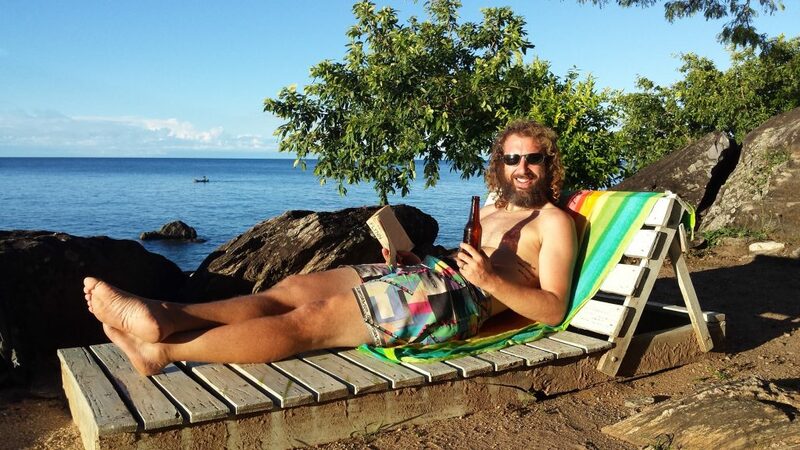 There is only 1 dive company in Nkhata Bay and it’s $50 for a one-tank dive. It costs $10 to visit Otter Point. 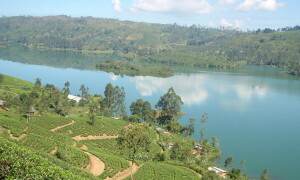 We arrived quite late in the afternoon but if you went early enough you could climb the hill for lovely views. Thanks for this. There is much that can be said about disembarking from the Ilala at Nkhotakota. It’s not the same as other places. My pleasure and if I was on the Ilala, I would very likely stay on.